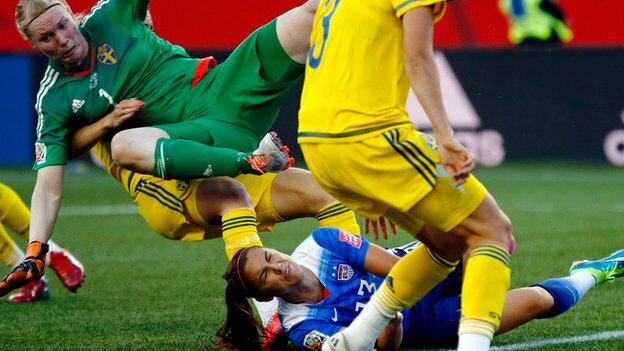 USWMNT failed to score against Sweden in their second group game and alsp kept a cleansheet in a very hard fought 90 minutes which results in USA still being top of the group D. Swedish keeper had to word extra hard to keep United States women team at bay with some quality saves. Althought the game turned out to be a competitive 0-0 draw, but this game was a huge success on TV in United States as it broke the previous record of most watch women world cup game. Fox network aired the match live on their free-to-air channel and racked in impressive numbers. 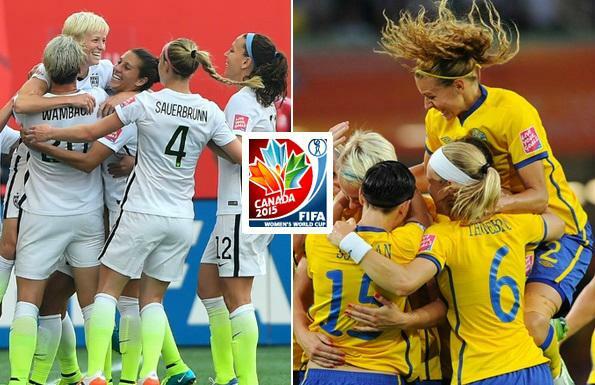 United States women football team will take on Sweden in their second gorup game in the 2015 FIFA Womens world cup. USA defeated Australia in the opening fixture by 3-1 and now they have a great chance of booking their place in the knockout stages already within two matches if they can defeat Sweden who are coming into this match on the back of a high scoring 3-3 draw against Nigeria. Against Australia USA started very slow and looked slugish in the opening half hour but a goal from RAPINOE in 12th minute which was totally against the run of play got them the lead. Australia hit back and the score was 1-1 at the break. USA upper their tempo and put Australia under pressure more in the second half and they were rewarded with their second goal which put them 2-1 in lead. RAPINOE was on target again late in second half to seal all three points and start USA’s campaign in women world cup with a win. Sweden on the other hand started brightly against Nigeria and took a 2-0 lead going into the first half but Nigeria hit back with two quick goals at the start of second 45 minutes to bring game back on level terms. 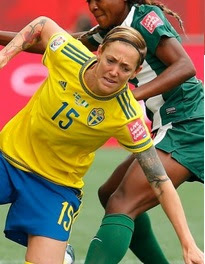 SEMBRANT scored for Sweden in 60th minute to give them lead again but a late goal from Nigeria’s Ordega shared the spoils. Now Sweden needs to get a win in this match to keep their chances of qualification alive, a defeat and Sweden will be staring at an early exit from the group stages.